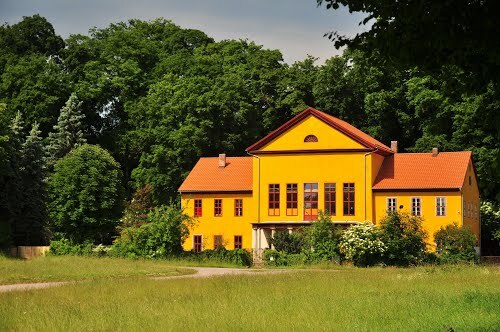 The Seminar Centre „Villa Weidig“ is a place dedicated to personal growth and transformation. Located in the beautiful nature of the Thuringian Forest, with a river directly out front, it acts as an ideal place for temporarily stepping out of everyday duties and patterns. You are most welcome to take the chance to recharge and expand yourself here. The Center provides a cosy meditation room and a kitchen where participants cook and eat together. Every guest here is encouraged to take the chance to completely focus on himself and on his inner processes in a safe and comfortable space. The Centre is easily reachable by car or by train. To get here from the main train station in Saalfeld it is approximately 10 € by taxi or a 15 minute walk.